Harry Freeman is a premier client advisor for Matthews Multifamily Advisors™, a division of Matthews Real Estate Investment Services™. Harry and his team focus on the disposition and acquisition of multifamily investments nationwide. Harry leverages his strong commercial real estate background and understanding of the real estate market to provide an exceptional level of value to his clients. Harry’s outstanding work ethic, comprehensive business background, and profound market knowledge allow him to ensure the utmost leading experience that Matthews™ prides themselves on. Prior to Matthews™, Harry was an associate at Savills Studley where he executed new business development and implemented strategic solutions. 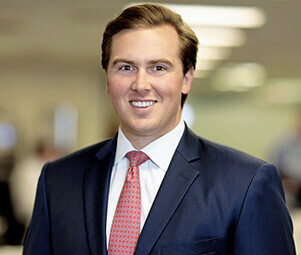 At the beginning of his career, Harry worked as an analyst for commercial real estate firms like Rubicon Representation, Strategic Capital Distributors, and Cypress Management.